The Member Services team is responsible for building customer dedication by providing quality, efficient, & scalable support when & where customers need it. We span both buyer & seller, reactive & proactive, & 1:1 & self-service support channels. In short, we are the frontline of the Etsy.com marketplace. 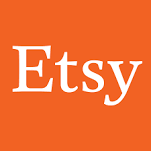 You'll liaises between the Etsy Member Community & Etsy's Engineering, Analytics, Product Managers & Support Delivery teams to address Etsy site issues & feature requests. This works both downstream to ensure that Member Services has a support plan for technical issues, as well as upstream to report on the impact of customer-facing issues to Product & Engineering. There will be occasional travel to our Hudson, NY office. This role is based in our Brooklyn HQ office.